The Faubion Women meets once a month. The first and second month of the quarter we meet on the 3rd Thursday at 10am. The last month of the quarter we usually meet on the last Saturday at 9am with breakfast and a program. We are active in supporting church activities, as well as various community groups and local charities. All women are welcome. There are no dues to belong. This year we have chosen to make menstrual pads as our Mission Project. Do you know many girls and women miss school or work because they have to stay home during this time of their cycle. By giving them something simple as a menstrual pad they do not have to miss parts of their every day life. 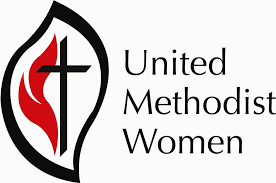 Do you ever wonder where the money goes that the UMW makes from the 3 sales they have every year? Besides making purchases for the kitchen such as appliances, utensils, etc. we also assist the church with major purchases. The majority of the money made goes to various charities such as: Assistance League (Operation School Bell), Baby Grace, Church Women United, Clay County Clothes Closet, Della Lamb, Festival of Sharing, Harvesters, Love, inc., Northland Christmas Store, Northland Early Education Center, Operation Shoebox, PATCH, reStart, inc., Shepherd Center of Northland, Spofford House, and Synergy. Many thanks to your support of our sales so we may bless these charities with donations to further their missions. FALL FLING SALE- The 16th and 17th are setup dates starting at 9:00 am and going until 3:00 pm. The 18th sale time is 8-5 and the 19th sale time is 9-2. Household items and baked goods, along with lunch, will be available. COOKIE SALE- The 13th setup time is from 1-5 pm. The 14th sale time is 9-2. Lunch will also be available along with a Christmas Store.